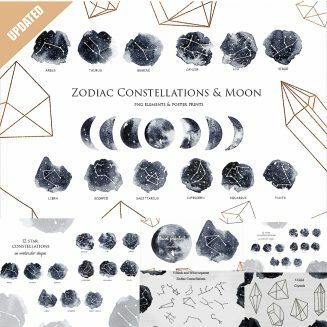 Introducing Zodiac Constellation clipart. This set includes blue galaxy elements, Star, Constellation, and Gold Crystals. Great for wedding, baby shower invitation cards, greeting cards, printables, wall art, logo, web and blog designs, invitations and many more. 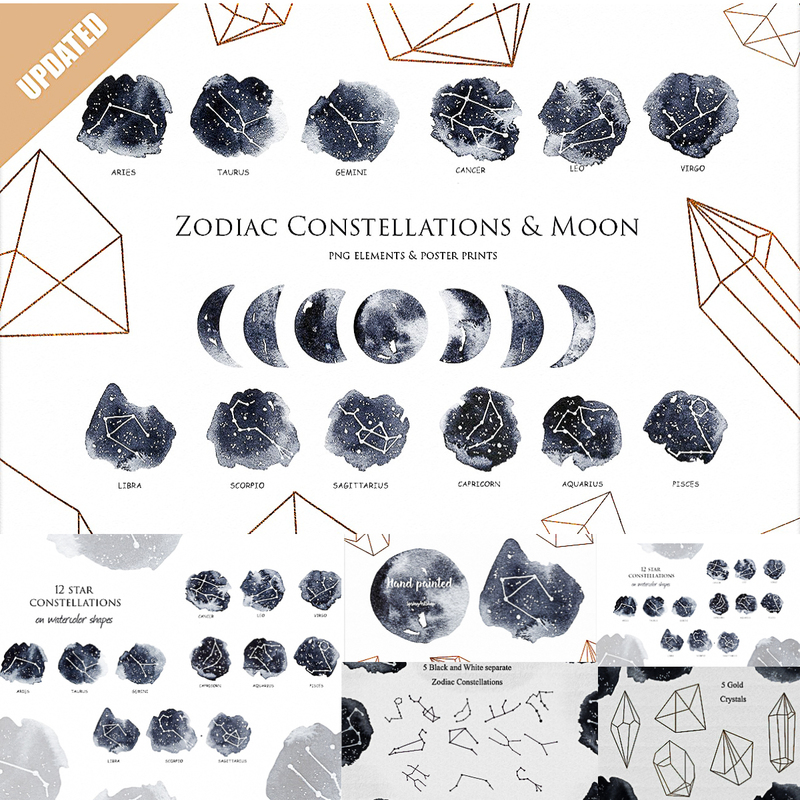 Tags: constellation, cosmic, crystal, digital background, galaxy, gold, horoscope, moon, poster, star, star clipart, zodiac.